JNN 10 May 2014 Riyadh : A court in Saudi Arabia has sentenced the editor of an internet forum founded to discuss the role of Wahhabis’ ruling in the conservative kingdom to 10 years in jail and 1000 lashes, Saudi media report. 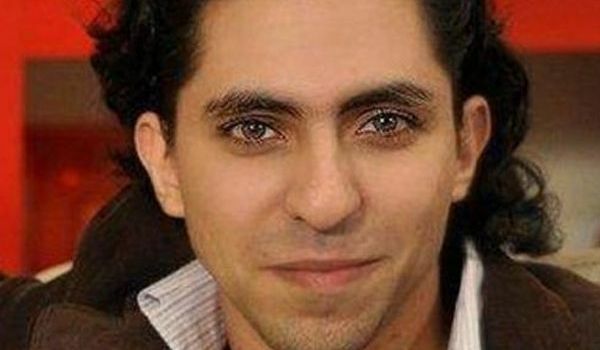 Raif Badawi, who started the “Free Saudi Liberals” website, was originally sentenced to seven years in prison and 600 lashes in July last year, but an appeals court overturned the sentence and ordered a retrial. Apart from imposing a stiffer sentence on Badawi in his retrial, the judge at the criminal court in the Red Sea City of Jeddah also fined him one million riyals ($285,000). Badawi’s website has been closed since his first trial. His lawyers said Wednesday’s sentence was too harsh, although the prosecutor had demanded a harsher penalty, news website Sabq reported. The prosecution had demanded that Badawi be tried for apostasy, a charge which carries the death penalty in Saudi Arabia. The judge in last year’s trial had dismissed the apostasy charges. Badawi was arrested in June 2012 and charged with cyber crime and disobeying his father – a crime in Saudi Arabia. His website included articles that were critical of senior religious figures such as Saudi Arabia’s Grand Mufti, according to Human Rights Watch. In a separate ruling on Tuesday, the court also convicted the administrator of a website on charges of supporting Internet forums hostile to the state and which promoted demonstrations, Sabq reported on Wednesday. It said he was sentenced to six years in jail and a 50,000 riyal fine. The news website said another Saudi was sentenced to five years in jail for publishing a column by a prominent Shia Muslim cleric on his website. The world’s top oil exporter follows the strict school of Wahhabism. Judges base their decisions on their Personal interpretation of religious law rather than on a written legal code or on precedent. This entry was posted in Middle East and tagged Badawi, Free Saudi Liberals, Grand Mufti, Liberal Sunni, news website, Raif Badawi, Saudi Arabia, Sentenced By Saudi Court, Web Site Owner. Bookmark the permalink.